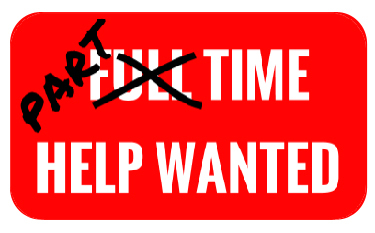 Part time employment is on the rise. The good news is as a result of changing values, work and life preferences, and retirees who don’t want to retire there is a vast numbers of qualified individuals wanting and willing to work part-time. 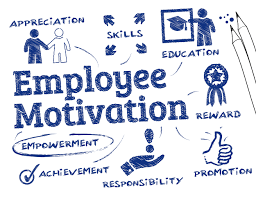 Unfortunatly part time employees face many challenges in their work environment, the biggest problem comes from the negative attitudes of their bosses, managers and full-time co-workers. Part-time employees’ contributions are seen as insignificant and therefore are not made to feel like part of the team. The opposite however is true. The Kabachnick Group research reveals that part-timer employees performance scores are approximately 30% higher than their full-time counterparts. Part-timers also show a higher energy level, do not get bored as easily, and are less likely to get caught up in work-place politics. After all, they simply have less time to develop these less desirable habits. To tap the resource that is part-time employees and prevent disengagement among highly productive part-timers, employers must first view them as genuine contributors to the company. Here are some suggestions to keep your part-timer employees engaged. 1). Review your company policies. Reacquaint yourself with policies regarding part-timer empolyees’ pay, benefits, schedules, etc. Look at part time employees from a fresh viewpoint. How can part-time employees help your organization? Part time employees, cost less, their hours are flexible and these two factors alone open up a vast pool of candidates. Think outside the box, part-time employees aren’t just high school and college students, also consider the recently retired and parents looking for work while the kids are in school. Flexibility and a sense of accomplishment are extremely important to these group. 2). Show respect for part time employees: Just because they work part-time doesn’t mean they should be relegated to positions that are trivial or delegated tasks nobody else wants. Many part-timers build solid relationships with customers – sometimes to the point where customers will only shop during the hours when they work. Give part-timers flexibility in scheduling appointments with customers outside of their normal working hours. This helps build customer loyalty and profitability. Yes, the scheduling may take a little more maneuvering, but you will see valuable results in the end. 3). Provide guidance and education. Do not exclude part-time employees from training sessions and meetings. Many will voluntarily listen to educational tapes and study training manuals to become better at their jobs. Encourage them to participate in meetings and offer ideas and recommendations. Give them an opportunity. 4). Acknowledge their temporary status. It’s no secret that many part-timers will be with you temporarily. Don’t view this as a negative and not make the employee feel they need to keep this a secret. Discuss the part time employees future plans and how to make the most of their time at your organization. Let them know you are ok with their seasonal or short term employement and will provide them with learning opportunities to help them achieve their future goals. All you ask in return is that they be responsible, attentive and give you their best. You won’t be disappointed with the results. 5). Partner a full-timer with a part-timer. Ask a full-timer to communicate any news, important information, policy changes, meeting notes and general correspondence to the part-timer. Reward the full-time person for this responsibility. Promote teamwork. 6). Touch base regularly with your part-timers. Build a relationship. Do this every other week or at least once a month. Find out how they are doing, and offer feedback. The time you spend with part-timers will be noticed by full-timers, and will send the important message that you consider part-timers to be important employees and valuable workers that are worthy of your time and theirs. 7). Recognize and value seniors who work part-time. There are great benefits to multigenerational workforce. Many older employees bring vast experience, reliability and maturity, which can become contagious. Many were managers and leaders in their pre-retirement days. Ask them to become mentors. Ask for their advice. Make them feel important. Everyone will benefit. Visit the AARP website for more information on their Senior Community Service Employment Program. Part-time workers are becoming a more important component in the workplace. Managers must learn to treat them as genuine contributors to the company in order to keep them engaged.